Remember that weird period in Gilmore Girls history when Rory dropped out of school, moved in with Emily and Richard, and became a member of the DAR? Well, the DAR is a real thing. Daughters of the American Revolution began over 120 years ago and it's basically a super patriotic charity program for women. 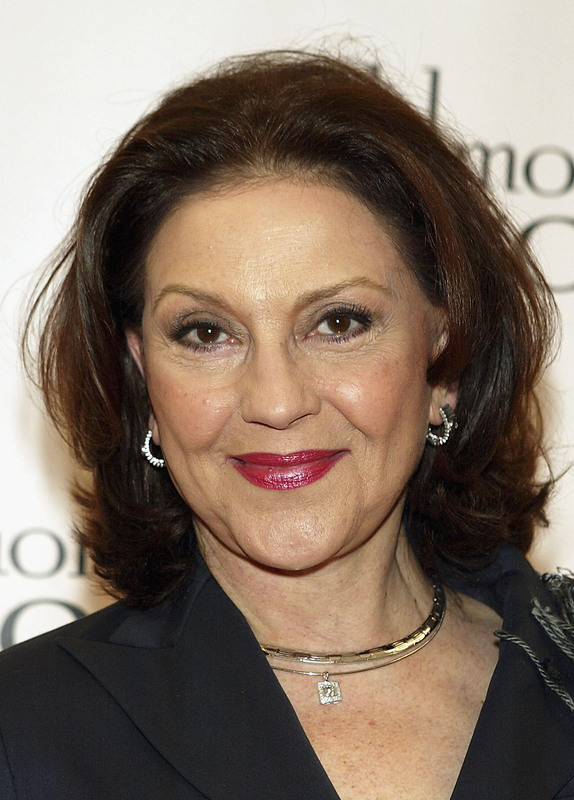 In other words, Emily Gilmore was the perfect candidate. Gilmore Girls is back on Netflix and now that we are older and wiser, it's time to understand all those things we may have missed back in the early 2000s. I was too busy wearing my jean skirts and Uggs to know important information like the fact that Paul Anka is a real person and the DAR wasn't a made-up committee filled with a variety of Emily Gilmores. I started to research the DAR and it turns out, I am definitely not eligible to become a member. First of all, my family wasn't even hear yet when the Revolutionary War was going down, so I know that I'm automatically out of the running. According to the very '90s-esque video that I watched on the site, the nationwide group currently has 177,000 female members and 3,000 chapters around the country. Their mission is "promoting historic preservation, education and patriotism." Here are a few more things to know about the group. Any woman over the age of 18 is eligible to join, you just have to prove that you have an ancestor who, "aided in achieving America in independence." Doesn't seem too hard, right? Except you have to figure out which relative fought for America in the revolution and then you have to provide a birth, marriage, or death certificate. Basically, anyone who was involved in the government in 1770s is probably eligible. The DAR has a genealogy section on its website so you can figure out if you're able to join. Apparently, in the past the DAR had some problems including non-white women. According to the New York Times, in 1939, Eleanor Roosevelt was so upset with their ignorance that she renounced her membership to the society. The same video from earlier said that they are known for being older ladies, but that isn't true (except for the fact that every interview in the video is an older woman, but no big deal, just an observation). In 2012, Olivia Cousins became one of the first black women to open a chapter of the DAR. "I’m a part of this country, and my presence needs to be recognized," she told the New York Times. There have been tons of famous members involved with Daughters of The American Revolution, including Susan B. Anthony, Clara Barton, Clare Bootth Luce, and Barbara Bush. Eight other first women have been members as well. What I am trying to say is, Gilmore Girls pretty much hit the nail on the head with the fancy meetings and the expensive charity dinners.